How to bet on Favourites! Frustrating, nerve-wracking and ultimately valueless. These are the adjectives that are often used to describe the process of backing favourites in horse racing. The average punter doesn’t usually choose a favourite simply because it is at the top of the betting list, however, the horse with the best recent form or is on a highly favourable handicap mark is usually on the punter’s agenda when selecting. Therefore, I'm going to take this opportunity to explain some of the best ways to include favourites in your betting plans and in some cases how to avoid betting on the favourite at all! The first strategy I'm going to mention is a system involving forecasts which if followed patiently can produce some useful profits. This is one strategy that can be employed on race fields with around 9 runners or less. Simply choose the favourite to beat every other horse in the field covering every straight forecast scenario. In other words, in a race involving 6 runners, a total of 5 straight forecast bets are placed. However, in order for this system to be profitable, the SP of the favourite has to be around 2/1 or better and the returns are obviously improved if the SP of the second horse is high. This system should be avoided on certain types of races and meetings. The type of race which the punter should aim for will be non-handicaps considering the percentage of favourites winning handicaps is low. 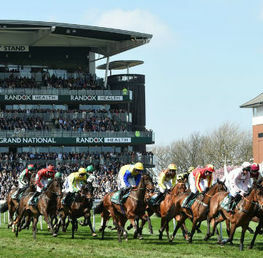 High profile meetings such as The Cheltenham Festival, Royal Ascot and The Aintree Grand National Meeting should also be avoided as the races during these meetings are ultra-competitive with few favourites coming in. At the time of writing, the meeting at Musselburgh on Monday 3rd December 2018 produced 5 winning favourites.Although two races produced second placed horses with low prices, two of the results of second place contained SP’s of 10/1 and 22/1. This would have produced a great return overall. However, this is by no means a regular scenario. Nevertheless, it pays to employ this strategy on minor meetings held at the early part of the week whereby favourites are more likely to oblige and fields are much smaller than races held towards the busy weekend period. Punters dream or nightmare? 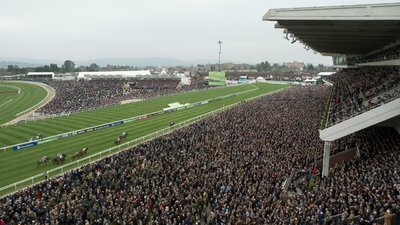 The Cheltenham Festival held in the middle of March every year is now without doubt the horse racing betting pinnacle of the year. On average, around £300 million worth of bets are placed on this meeting. It’s a staggering figure. The bookmaking industry places the same kind of emphasis on this meeting that compares with the high street reliance on sales at Christmas. It’s massive. However, for the punters it’s a bewildering maze of large field handicaps, overhyped horses and dozens of firms trying to grab your attention with a myriad of offers and promotions. For favourite backers, it’s a disaster waiting to happen. 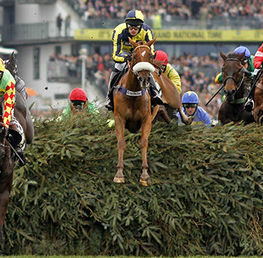 Many horses who have excelled at tracks up and down the country have often been severely undone by the unique characteristics of The Cheltenham Festival. The meeting attracts the best chasers and hurdlers in Ireland and UK: it’s mighty competitive. The course itself is challenging with the numerous undulations, stiff fences and perilous uphill finish. 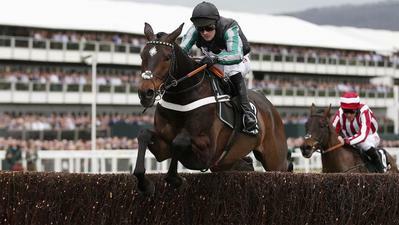 This is the 2 mile novice steeple chase championship decider and although the quality of jumping can be inconsistent at best, the race is an excellent event for favourite backers. Out of the last seven renewals, six of the last seven winners have been favourites, although most of them have been odds on with the one exception being Western Warhorse who won at odds of 33/1 in 2014. This race being the championship decider for 2 mile seniors is actually not a great race for favourites but at the same time it hardly produces any shocks. 33 out of the last 34 runnings have not been priced higher than 11/1. 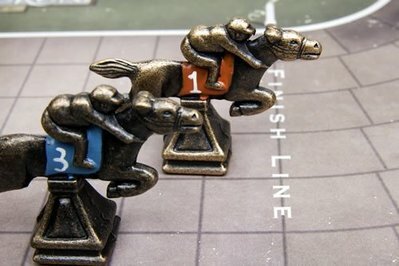 Not only that, the race usually goes to the first two in the betting. 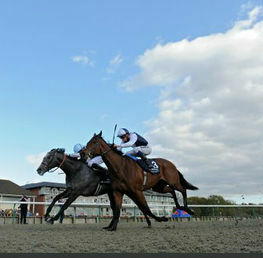 Another great race for favourites whereby eight of the last 10 winners were sent off either first or second favourite. 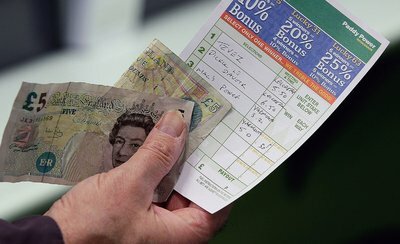 The most common asked question is whether odds on favourites should be backed in the first place. That depends on a number of factors. 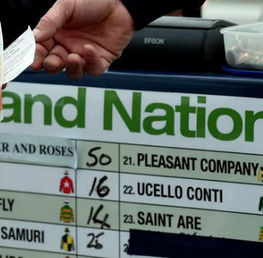 As a rule of thumb, I would avoid betting odds on in a large field, especially in a national hunt chase field. So many things can go wrong such as decent horses being brought down by other horses falling or quite simply the odds on favourite runs a below par race and there are plenty of others who could exploit it. Also, if a horse is odds on in a small field and the market suggests a match (a race between two horses with similar form and ability) then this should also be avoided. The win percentage statistics are not great for odds on: usually around 59%. The only time to bet odds on is if the favourite really has no worthy opposition or as part of an accumulator, such as a Yankee or Lucky 15, where the win can have more far reaching value. The necessity bet for all favourite backers especially during high profile meetings such as The Cheltenham Festival and Royal Ascot. The banker bet centres around one horse which looks to be the most likely favourite to win during a meeting. The key information is the amount of the stake. This is always the largest bet of the week whereby the returns will cover any losses incurred by other lost bets. The challenge of the bet is deciding which horse fits the credentials of banker. Ideally, you want to be looking at a race where the potential banker has extremely weak rivals to a point where it will be a major shock if the banker loses. We did all right this year by selecting three successful bankers for the 2018 Cheltenham Festival! The timing of the bet can be crucial. It is nearly always best to leave the placing of the bet as late as possible in case of a change in the going or last minute negative reports registered by the trainer or from elsewhere. There have been some infamous banker “sinkers” in recent years including Douvan’s flop in the Champion Chase at the 2017 Cheltenham Festival. Caution and careful scrutiny of the press is therefore important. The key factor for following trainers is pinpointing where they gain the winners rather than what or how many. 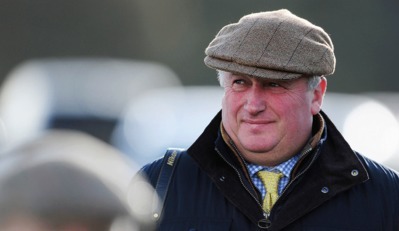 For example, it pays to follow the National Hunt trainer Paul Nicholls at West Country tracks such as Exeter, Wincanton and Taunton. The trainer, based at nearby Ditcheat in Somerset, often strategically pinpoints particular races for his up and coming young hurdlers and chasers. Nicky Henderson has a preference for Newbury as he believes this track presents the best ground for his chasers. Generally, these races should be avoided as the class and ability of such horses who run here are way below what would be seen on the standard race tracks. The winning percentage rate for favourites on all weather tracks stands at roughly a paltry 36%. However, there are some statistics to focus on. The percentage of winning favourites differs when the race distance is taken into account as the record for favourite winners over 5-7f races give a much greater return. Additionally, with a digger deep into the statistics bank, it pays to back favourites in Class 2 races at 5-7f races as this has produced a profit of around + 34.84 based on a £1 unit stake system. Handicaps are a notoriously tricky affair. All entries to a handicap are systematically weighted so that all horses technically should finish in a dead heat but of course this is never the case. Therefore the results are very challenging to predict as horses may not run to form, horses may be on the downgrade (and therefore produce a better run that previous form may suggest) or upgrade and possibly struggle in higher rated company. The favourite may come from any one of these scenarios and the form is therefore very tricky to gauge. However, the key information with backing favourites is to establish whether the handicapper has allotted a mark that is below what the current ability of the horse is. This is where the term “well handicapped” originates from. Keeping an eye on the market is also a wise option. If one horse is being consistently backed in favouritism then this is a positive sign of course. Nevertheless, the statistics for backing favourites in handicaps is not exactly eye-catching (around 25%) so with everything taken into account, it’s probably wise to avoid favourites if possible. Bookmakers are keen to exploit those who regularly back favourites therefore it’s not unlikely that firms will install favouritism on horses who don’t entirely fit the bill. This is known as creating false favourites. This is unlikely to occur with a weekend large field due to the larger sums of money being placed on these races. These are more likely to happen in the quieter mid-week fixtures. The all-weather races have been known to attract false favourites and are usually characterised by horses who have won in the previous five days but have shown no form at all before that. 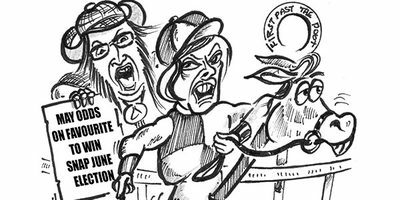 Horses trained by high profile trainers such as Nicky Henderson for National Hunt or Aiden O’Brien for the flat are often perceived by many punters as false favourites especially those entries having a first run for their trainer. More often than not, horses are installed as favourites simply because the trainer is the most successful in the field. Although it wouldnt be prudent to make an outright avoidance of backing favourites, it certainly pays to pinpoint those races whereby favourites are less likely to be successful. 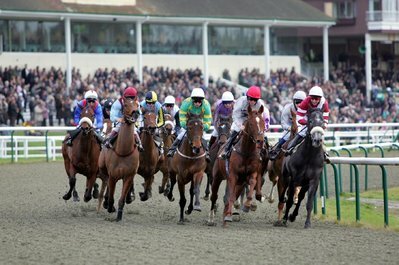 Certain all weather races are best avoided and the high profile meetings such as Cheltenham should be carefully scrutinised for the best statistical races for favourites. Backing odds-on favourites is great for accumulators but should be mostly avoided if necessary and look out for those false favourites!